So, you should have known this one was inevitable. I never shut up about them, and I did all of those team lists. It’s near the end of the year, and this is like an early Christmas/Chanukah/Kwanzaa/Whichever Holiday You Celebrate present to myself. Speaking of end-of-the-year stuff, next Monday will be the first official B-List Defender Awards, honoring the best 10 issues to have been released this year. Then, next Friday, we will do the…other list: The Baron List Defender’s worst 10 issues of the year. So, be ready for that and get excited. I know I am. So, the criteria before we start. Imagine a scatter plot with the x and y axis being determined by how much I like them and their importance to the team. Think of it as a hybrid quintessential/favorite list. Only characters who were on the team and weren’t heroes before joining the team qualify. This means the Hawkeye, Luke Cage, the Winter Soldier, and John Walker can’t qualify. That helps keep the list interesting because otherwise—well then you’d already know the top three of the list. Also, the members of the Red Hulk era of the Thunderbolt’s do not qualify. It wasn’t the same kind of team then, and with Red Hulk, the Punisher, and Agent Venom, it would probably skew the curve too. Lastly, just because I am a big fan of a character as a villain does not necessarily mean they are a shoo-in for the list. For example, you know I am love Bullseye and Crossbones, but that does not guarantee either character a place on this list. A member of the Dark Reign lineup, former military man Frank Simpson was the leader of this group of hitman organized by Norman Osborn. He quickly proved to be a determined leader and a chilling killer. His unbalanced mind seemingly reflected that of his overseer, and he killed fellow teammate Headsman and maimed then-U. S. Agent and Mighty Avenger John Walker. A remorseless monster, Scourge reflects the darkest moments in Thunderbolts history. This paranoid industrial saboteur was also recruited during Osborn’s Dark Reign. Unlike Scourge and the rest of the team, he stayed onboard when control was transferred to Luke Cage and John Walker. Despite being mistrustful of others and very suspicious himself, he quickly fit in on the team. His suit’s ability to phase through solid objects and turn invisible made him a great recon agent. A founding Thunderbolt and regular returning member, Norbert Ebersol (formerly Techno) has always been a major fixture of the team. Equipped with his Tech-Pack, which grants him access to a variety of tools and weapons as well as the ability to interface with just about any technology he runs across, Fixer has always functioned as mission coordinator as well as a valuable intelligence gatherer for the Thunderbolts. His narcissism as well as his tendency to take the path of least resistance has dragged the team down to the depths in the past. He has come through for the team as well as sabotaged it in equal measure, and his duality is indicative of the spirit of the Thunderbolts itself. However, Norb Ebersol’s narcissism is nothing compared to the vanity and self-obsession shown in Dr. Karla Sofen. Another founding member who originally went by the name of Meteorite. She has often been the group’s most powerful member, but she has also brought it down with her manipulation and vies for control over the team. Despite this, she has always come back. The likes of Zemo and Osborn have often put up with this as a known quantity. You can always count on Moontone to betray, so you know exactly what to expect of her. This is why they tolerate her duplicity. Dr. Chen Lu has had a complicated relationship with the Thunderbolts. He originally joined after the Thunderbolts halted an Atlantean attack on China, and his primary function was to work as an emissary in the American super hero community as well as to report back to his Chinese superiors. Admittedly, Radioactive Man was very much a “Yellow Terror” villain, but, as time wore on, he has been recontextualized as an anti-hero who merely values his homeland more than any other. This has been expressed in the Thunderbolts, where he shows no innate ill will towards people, but he prioritizes the advancement of China above everything else. The clash of the good of all versus the good of some is another tent pole of the Thunderbolts’ complicated morals and makes him among the most interesting individuals to have ever joined the team. Former Goliath and Power Man Erik Josten was a brash, bull-headed, and selfish man when he co-founded the Thunderbolts as Atlas. After a series of missions as well as the optimism of Jolt, a young woman who joined the team in its infancy, Atlas began to enjoy the feeling of doing good for others. Since then, he has become the backbone of the team. He is now a joke-cracking optimist himself and has put his life on the line for the team on numerous occasions, even having dissipated into ionic radiation and going into a coma for the good of the team. If there is any true good in the Thunderbolts, it is certainly shown in Atlas. Recruited by Luke Cage at the behest of Charles Xavier, Cain Marko’s path towards redemption actually started long before he joined the Thunderbolts. He has been trying to do better for some time. This has come at the cost of his power, as the demon Cytorrak values chaos over order. In reality, his time with the Thunderbolts was merely a step on his path. 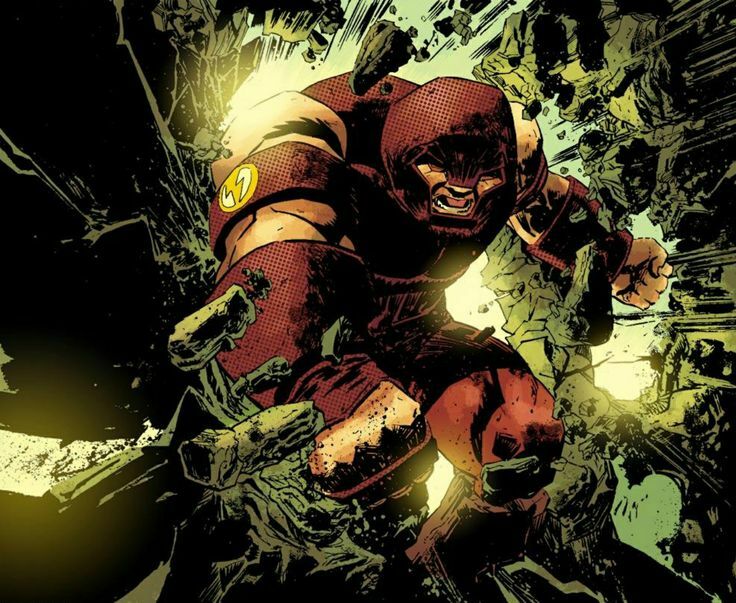 That being said, it came at a low point for the Juggernaut, as he was in a dark place and a reluctant member. He eventually left the team after Fear Itself and the demon Cytorrak left him in favor of Colossus of the X-Men. He was last seen retaking the mantle of Juggernaut when the gem re-manifested. He took it on as a burden as opposed to a means of power, but he vowed to use it to kill Scott Summers as revenge for the death of his half-brother, Charles Xavier. Another founder of the team, Abner Jenkins is among the most neurotic and self-doubting members of the group. Like the others, the former Beetle joined the Thunderbolts in the hope of gaining fortune and dominance. Like Atlas, he quickly began to enjoy being a hero. Since then, his life has taken many downwards turns. As a result, he second guesses every decision he makes. He even had a romantic flame with teammate Songbird for a time, but his poor decision making killed the relationship. Despite this, Abe always tries to do better and elevate himself as well as the team. This dedication to doing better is the true intent of the team, and this makes Mach X one of its most valuable members. 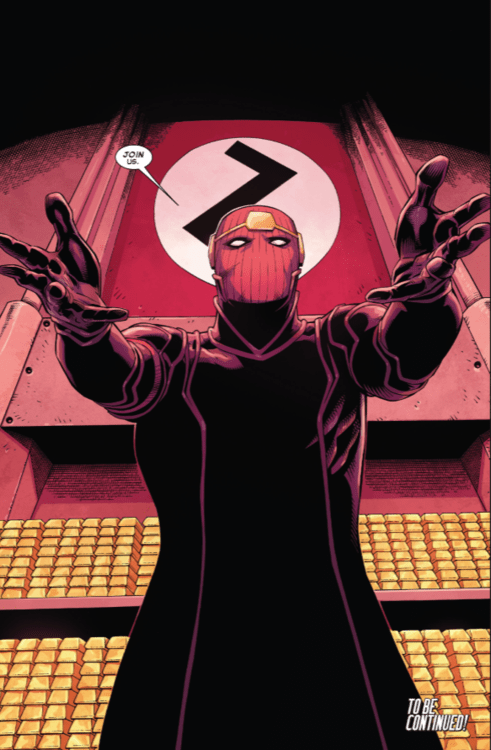 The man who originally had the idea to found the Thunderbolts, Baron Zemo took the stage as the Thunderbolts’ leader, a rapier-wielding, American Flag-wearing, altruistic hero known as Citizen V. This was intended to be a parody of his arch nemesis, Captain America. However, it would be later revealed that there was a hero with that title and costume before Baron Zemo used it. His original intent was to use the guise of a super hero team to gain trust, power, and knowledge from the public as well as the national security agencies of the government. He would then use this to gain control over the world. He very nearly succeeded on his first attempt. However, betrayal by Songbird, Moonstone, Mach I, Atlas, and Jolt would stop him. He has left and rejoined the teams on many instances since, and he would actually help lead them to victory on many occasions. He even took to being a hero a couple of times. However, his ambition and short-sightedness would lead him astray every time. When Baron Zemo recruited Melissa Gold, then known as the Screaming Mimi, to help form his Thunderbolts, she was seemingly helpless and alone due to the recent demise of her boyfriend and partner in crime, Angar the Screamer. When she joined, she was all-but completely under the control of Baron Zemo and even, to a lesser degree, then-boyfriend Mach I. She rebelled against Zemo along with most of the team and took to being a hero. Since, Melissa has grown more independent, became a leader of the team after the failures Abe and his New Thunderbolts, and even rebelled again after Norman Osborn took over. She was one of the overseers of the team when Luke Cage took over, and she has even become an Avenger and an agent of S.H.I.E.L.D. 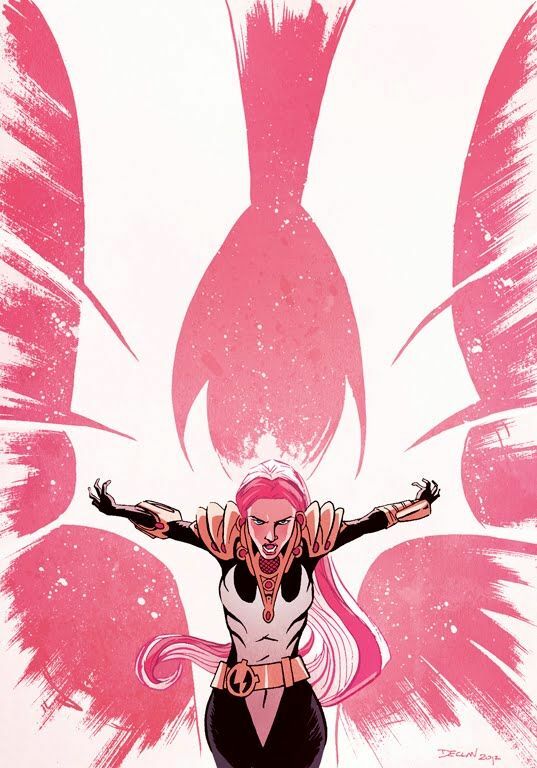 She has had a fascinating and endearing character arc, she has completely redeemed herself and become a true hero, and she is the pinnacle of the Thunderbolts and an example of a person’s potential for redemption.